Miami has long been a land renowned for it’s sun, nightlife and ability to draw the well heeled and celebrities to it’s sandy beaches in the winter and summer alike. Of course, those looking for a relaxing and luxurious vacation often prefer to choose a private luxury villa rental in places that also offer world class dining and shopping. While Bal Harbour has long offered stores for the world’s biggest designers, now Miami’s Design District is emerging as the newest, hottest shopping destination for those looking for the biggest names in design. Luxury brands like Louis Vuitton (just opened at the Aventura Mall), Cartier (plans have been announced for a temporary store to open in the Design District in November) and Dior have all announced plans to open stores in the Design District. It is expected that other LVMH-owned brands will follow the lead of Louis Vuitton in making the move to the up-and-coming district. Most recently the uber exclusive French brand Hermes has followed suit. According to The Miami Herald, Herme’s Bal Harbour store lease expires in December 2012. Hermes has now announced plans for a “10,000-square-foot, two-level flagship store in the Design District in Fall 2013,” and will be temporarily housed in the area starting the end of 2012 or the beginning of 2013. The new Hermes store is set to feature womens, mens and house products. Next door will be the first St. Louis crystal store in the United States. 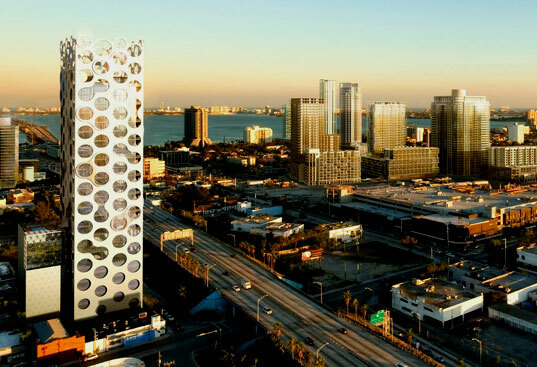 “’Hermes’ commitment to build a flagship store in the Miami Design District will further solidify the neighborhood’s position as an international destination for fashion, art, food and design,’ said Craig Robins, whose company Dacra owns about 60 percent of the Design District.’This commitment, coupled with the recent announcement by Louis Vuitton, begins to give us the critical mass of the world’s most important fashion brands. '” Dozens of exclusive, international brands are expected to open locations in the Design District by 2014. Of course, Miami is not only home to great shops, but also world renowned dining, nightlife, art and culture. If you’re looking to book a Miami getaway this winter, consider the advantages of a private luxury villa rental rather than a traditional hotel. Not only do Villazzo’s VillaHotels offer the same amenities as a five-star hotel, but they also provide a level of luxury and privacy that no hotel could hope to duplicate. Take the VillaHotel Stella for instance, a five-bedroom, five-bathroom Mediterranean-style VillaHotel located on exclusive Palm Island. The luxury villa rental is not only spacious and beautiful, but also features modern amenities like a teak-accented kitchen, and gorgeous outdoor grounds filled with terraces, a pool and Jacuzzi. The perfect spot for a Miami luxury vacation this winter. This entry was posted on Sunday, October 16th, 2011 at 2:40 pm	and is filed under Miami, Miami Beach Luxury Travel, Shopping. You can follow any responses to this entry through the RSS 2.0 feed. You can leave a response, or trackback from your own site.